Presentation House Gallery is pleased to premiere an ambitious new work on video by Zin Taylor. Put Your Eye in Your Mouth is 22-minute fictional documentary on the subject of renowned German artist Martin Kippenberger’s fabled Metro-Net project. The Metro-Net was a mischievous idea for a global underground railway that would consist of subway station entrances (a stairway leading underground to a door) sprinkled around the world. Before Kippenberger died in 1997, a number of stations were realized, one somewhat miraculously in Dawson City, Yukon. Taylor traveled to the Yukon to document the now quickly deteriorating remains of Canada’s Metro-Net station, and to interview its builder Reinald Nohal, a friend of Kippenberger and resident of Dawson City. Based on his research, Taylor scripted a fictional reenactment of the conceptualization and creation of this incongruous Canadian sculpture. After its premiere at Presentation House Gallery, Put Your Eye in Your Mouth will screen at YYZ Artists Outlet in Toronto from March 10 to April 21. 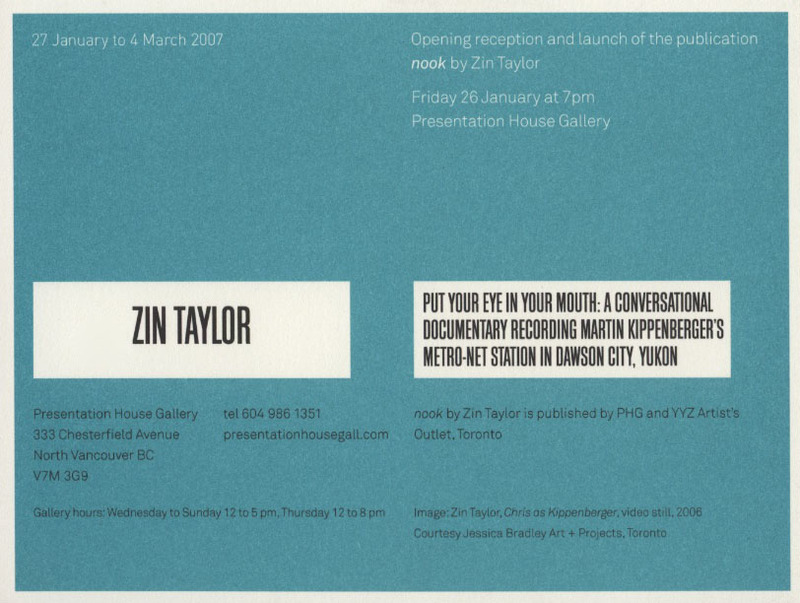 In conjunction with the exhibition, Presentation House Gallery has co-published Nook by Zin Taylor, with Toronto’s YYZ Artist’s Outlet, a travelogue and “photo guidebook" to the Yukon Metro-net. A collection of images taken at the site of Martin Kippenberger's Metro-Net Station in Dawson City, Yukon. The book records the condition of the Metro-Net Station over several years, the landscape surrounding the site of the Metro-Net, and a series of drawings using Bunkhouse Hotel stationary that were done by Kippenberger while visiting Dawson City in 1995. A travel guide for reaching Dawson City, Yukon is included in English and German. The book also includes an introduction to the history of Martin Kippenberger's Metro-Net project. 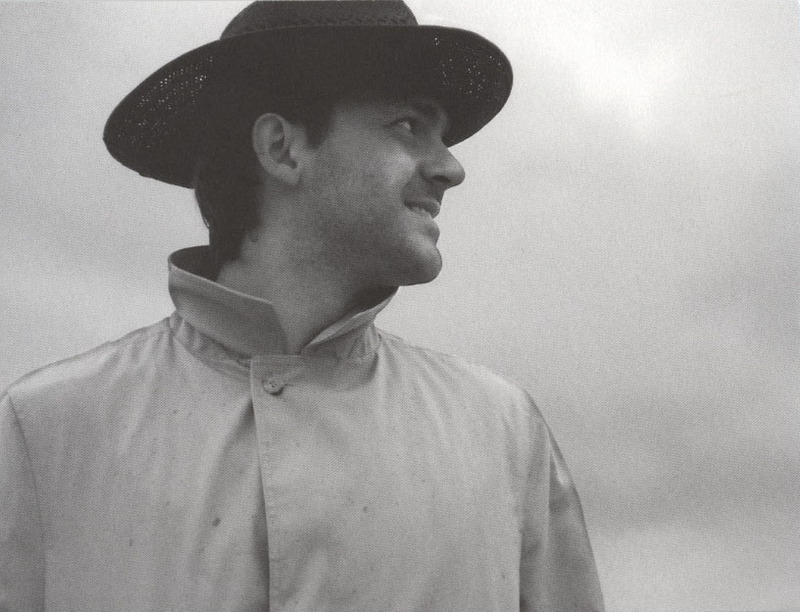 Designed by Zin Taylor and Roger Bywater. Printer: DL & Associates.